The LeapFrog Learning Friends Play and Discover School Set is on sale for just $8.57 at Amazon right now. That's 71% off the list price of $30! We all know LeapFrog is a great brand, and it looks like this product fits in with the rest! Customer reviews average 4.5 out of 5 stars from over 50 reviewers! Plus, it's Amazon's lowest price EVER! Teaches school routines, listening comprehension and pretend play. 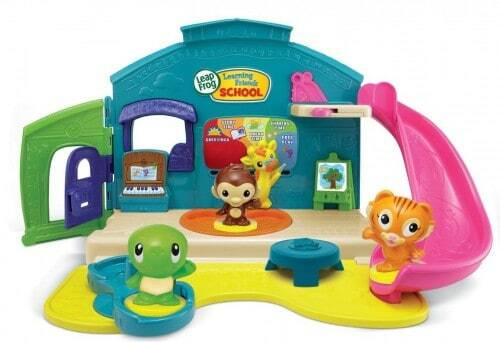 Check out the LeapFrog Learning Friends Play and Discover School Set while it's on sale!